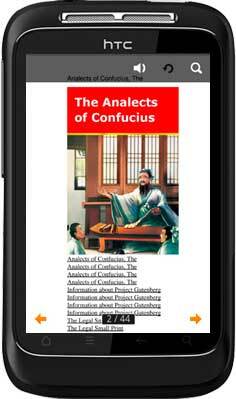 This Android book app is about Chinese philosophy during the Spring and Autumn Period through the Warring States Period (ca. 475 BCE - 221 BCE). The Analects, or Lunyu also known as the Analects of Confucius, are considered a record of the words and acts of the central Chinese thinker and philosopher Confucius and his disciples, as well as the discussions they held. It is very popular and official for emperors ruling the country. The Analects is the representative work of Confucianism and continues to have a tremendous influence on Chinese and East Asian thought and values today. It is absolutely national treasure benefitting all the mankind. 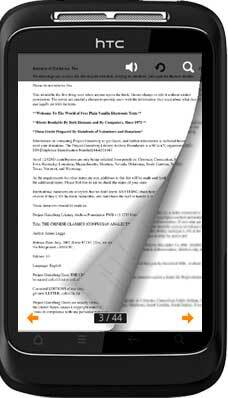 This Analects is in the form of android app, you can easily install it in your Android-powered devices, and the view like reading a flipping paper book. It is very valid and portable to check the illustrations, search special content, zoom in/out. 1. 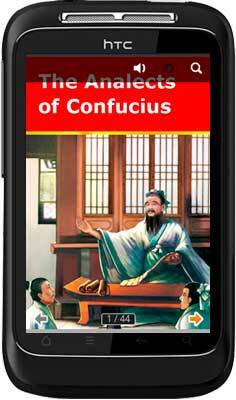 The below illustration is the Analects of Confucius cover image. 2. It is the table of content, you can press any setence in the catalog list to skip to the page directly. 3. 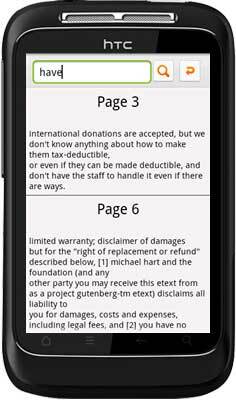 Any page flipping effect.